In 1998, Dreamworks Studios released a biblical animated epic film based on The Book of Exodus. The story focuses on the relationship between Moses and his step-brother Ramses and their psychological break between power, family, and faith. For a first-time studio, the stunning animation and the complex character development make The Prince of Egypt a masterpiece. Who knows what miracles you can achieve by acing this quiz? Are you a believer or a weak link? 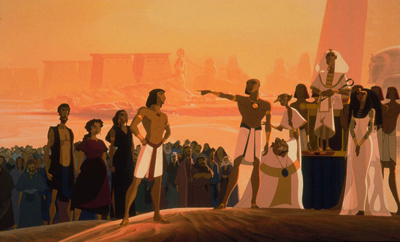 How well do you know The Prince of Egypt?